First, download the setup from our Download page. Double click the downloaded PDFAnnotatorSetup.exe file to execute it. 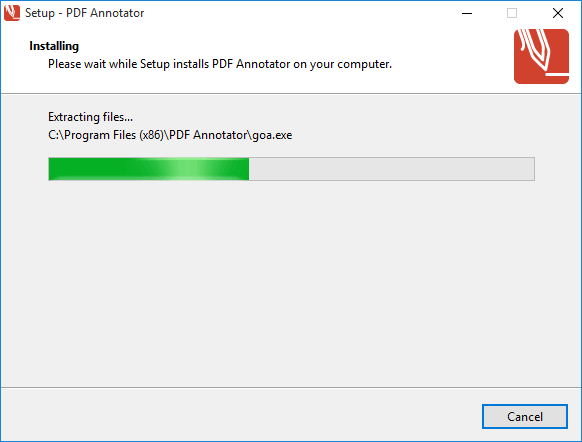 In the PDF Annotator Setup, if you agree with the Terms of License, all you need to do is to press Install. That's it! 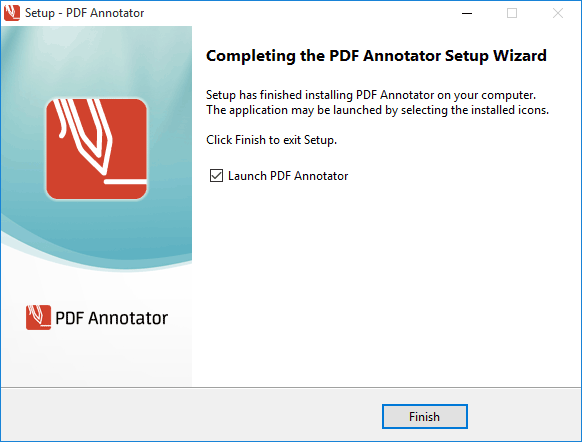 Enjoy PDF Annotator! 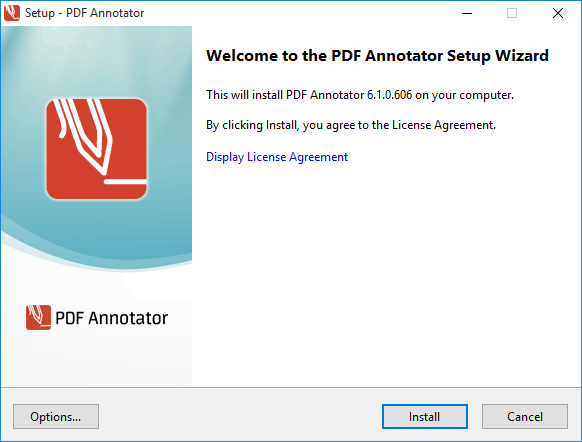 Did you already buy a PDF Annotator license? Continue here to enter your license information.